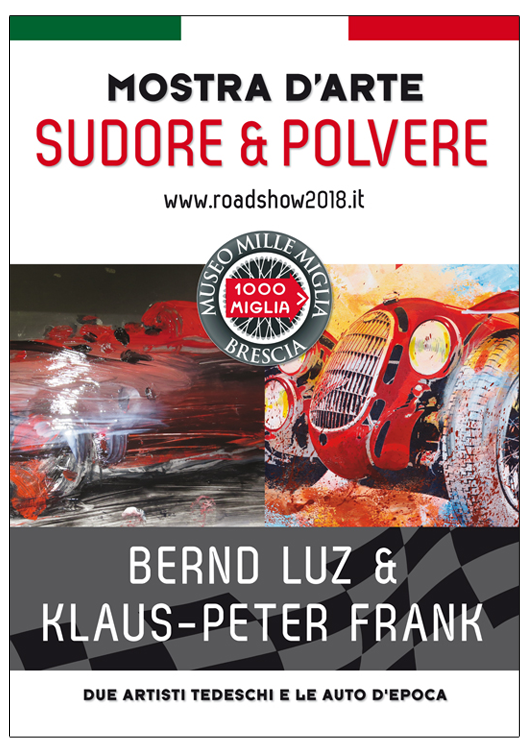 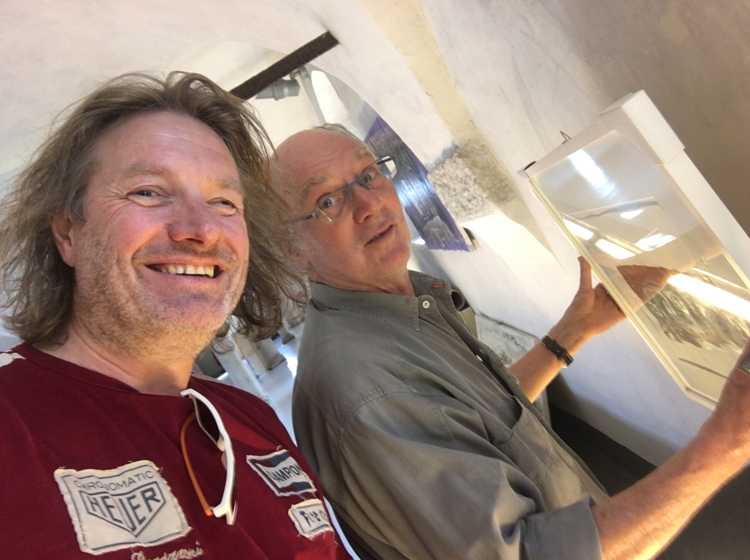 The two renowned German artists make a roadshow under the motto “Sudore & Polvere” (sweat and dust) through the most important and hippest automobile museums and places in northern Italy. 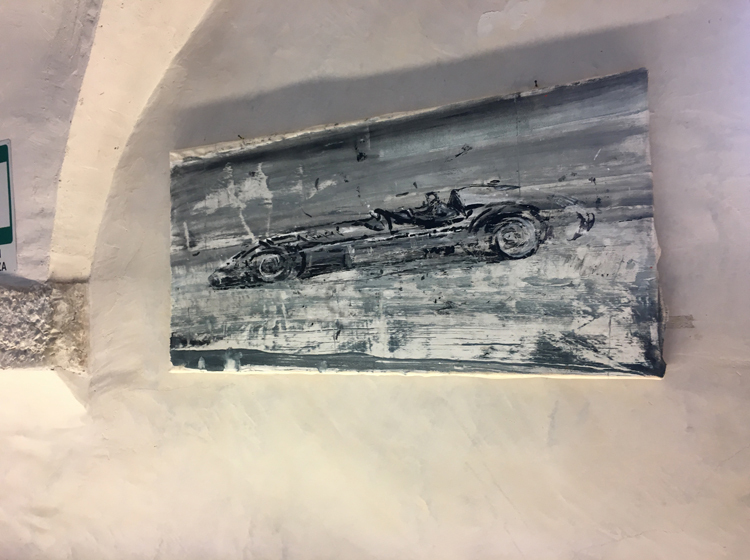 Already more stations or museums are in planning, or have already asked the two artists to present there also the automotive art. 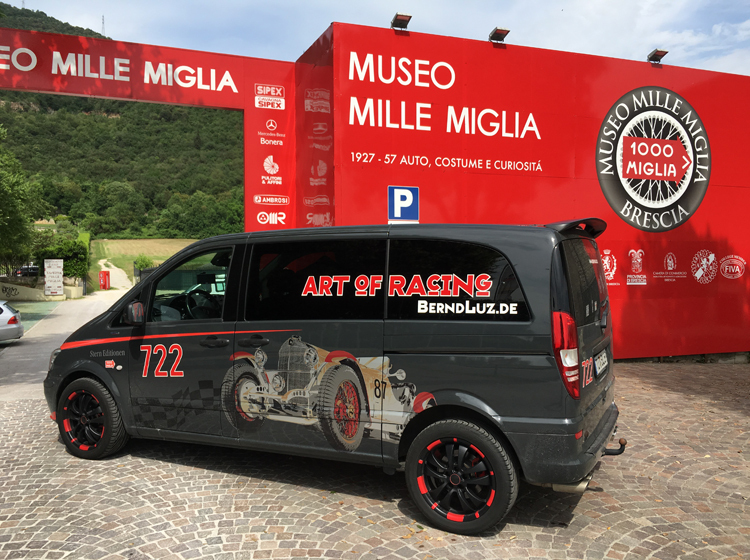 The first stage is already running successfully since May in the Museo Mille Miglia in Brescia. 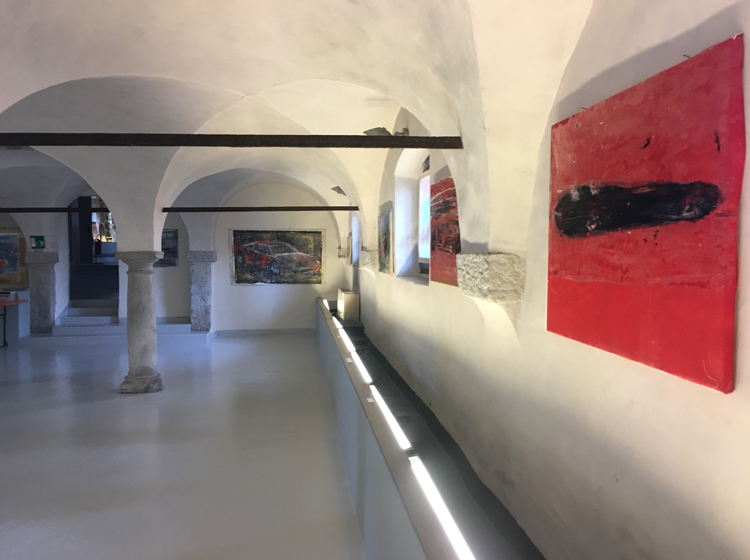 On August 7, the vernissage will be at the Museo Ferrari in Maranello. 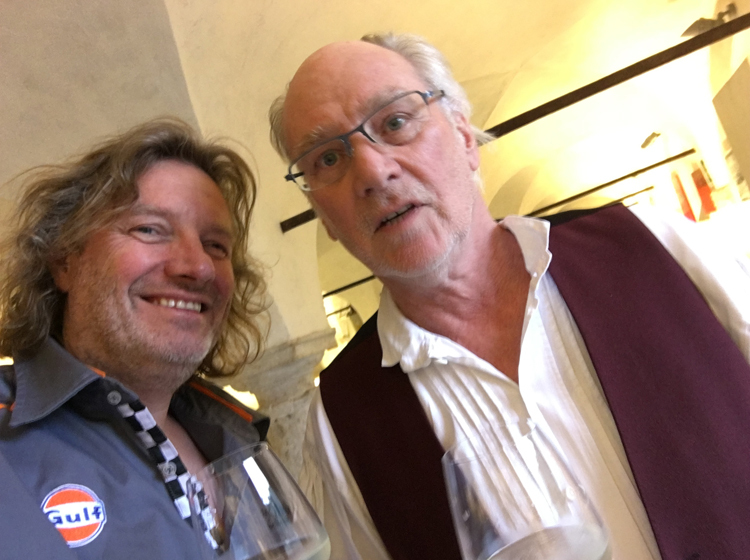 The Roadshow will run till 2019 in Italy. 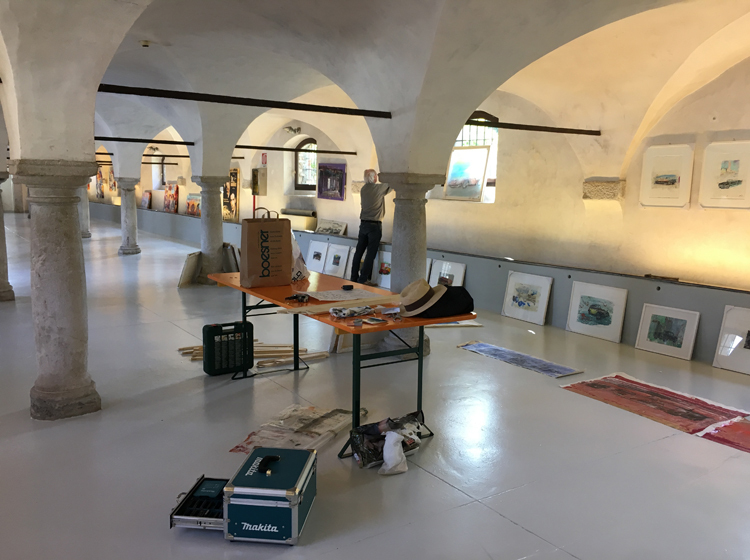 If interested, the artists extend the roadshow to Germany, Switzerland or Austria. 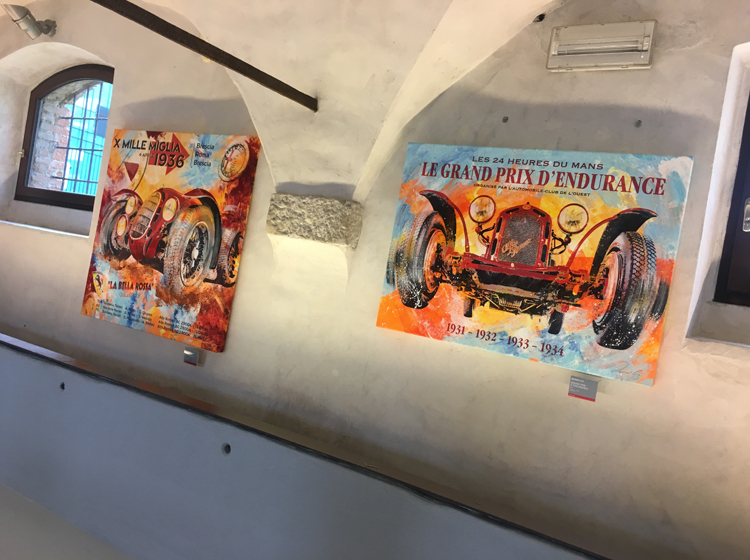 The exhibition shows works of art based on historical events and events in automotive racing. 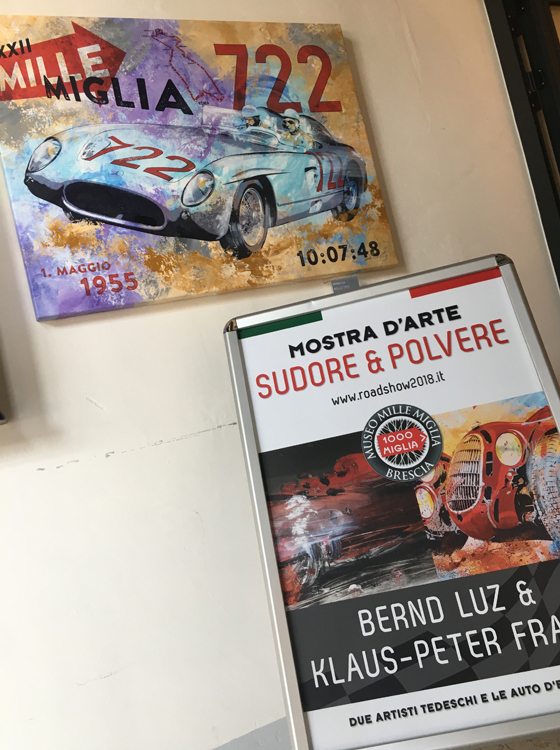 A tribute to important Italian vehicles and events that have retained their splendor and fascination to this day and still captivate people today. 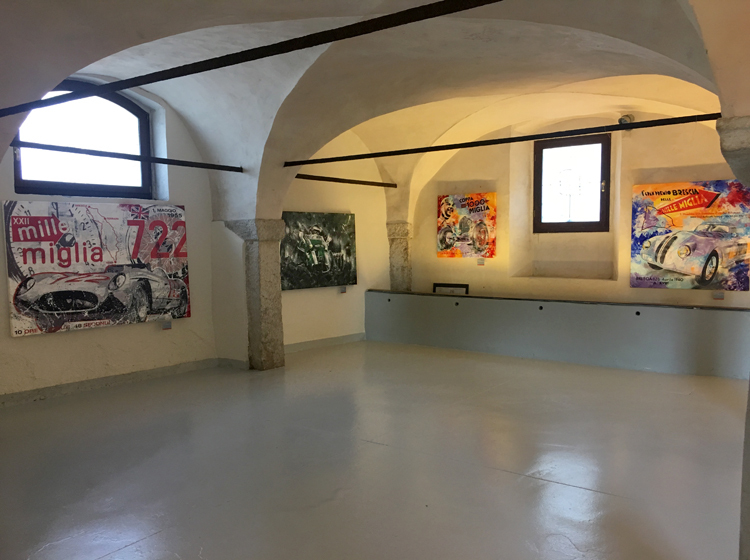 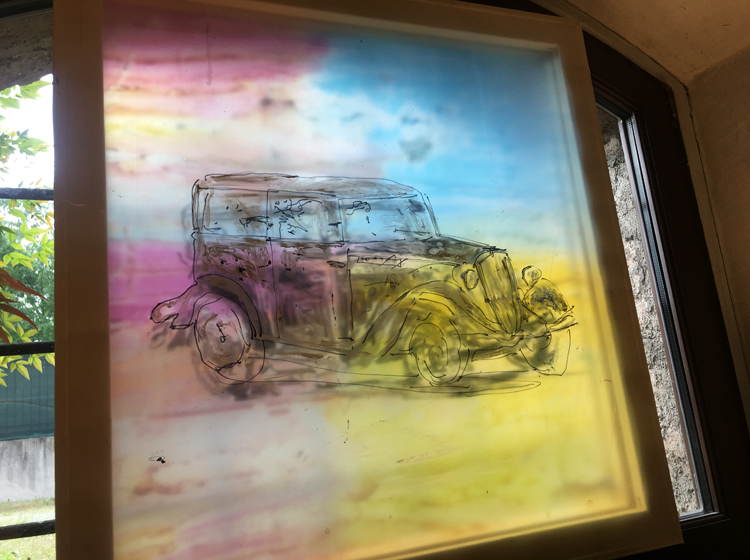 In the first station of the roadshow, since the beginning of May, over 40 works by the artists have been exhibited in the wonderful ambience of the Mille Miglia Museum. 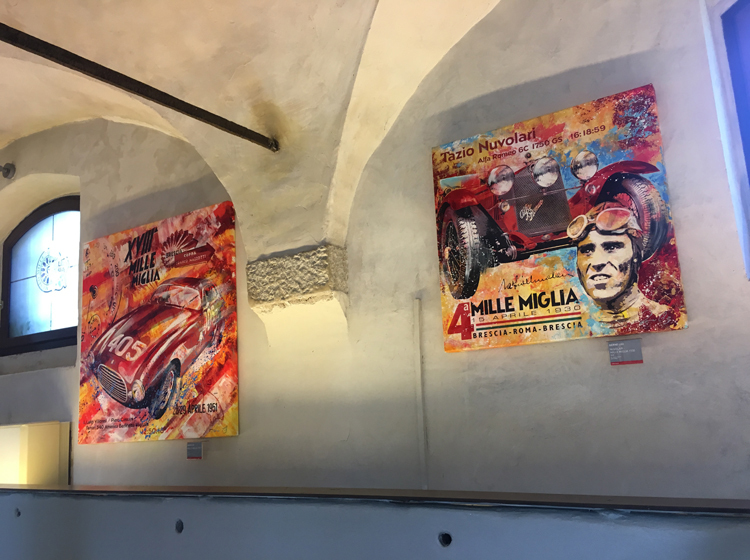 The museum contains contemporary witnesses of the famous Italian vehicle race, the Mille Miglia, which took place from 1927 to 1957. 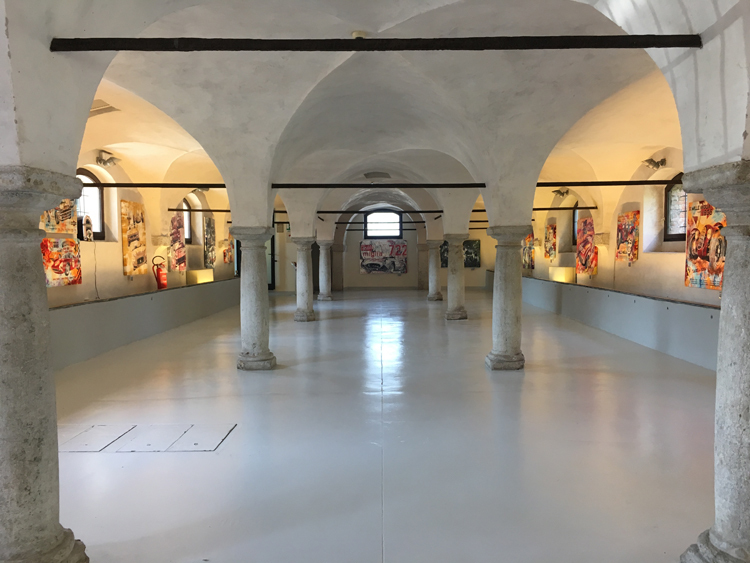 Now this great exhibition will be shown at Fico.